HMCS ONTARIO was a Minotaur class light cruiser while Uganda was a Crown Colony class light cruiser. Both ships first saw service with the Royal Navy before being transferred to the Royal Canadian Navy as shown in the commissioning dates. In UGANDA, two Supermarine Walrus (Photo courtesy Wikipedia) aircraft were removed in November 1943 while the ship was still in service with the Royal Navy. By that time, radar had replaced the seaplane as a means or early detection. By the time Minotaur/Ontario was built, the Minotaur class represented a substantial advance towards more sophisticated weapon control and integration of command and control and AIO functions in support of operation room control of fighting ship and aircraft. Once commissioned with the RCN, neither ship was fitted with an operational aircraft so the hangar in ONTARIO was eventually used as the practice room for the ship's band. It was probably the same case for QUEBEC. The data in the tables below was extracted from BR 299, a Royal Navy publication dated 1947. Photos and specs for some of this equipment can be found in this document including the specs for all 60 series transmitters . Any numeric suffixes which appear for American made equipment, denote the procurement contract number. 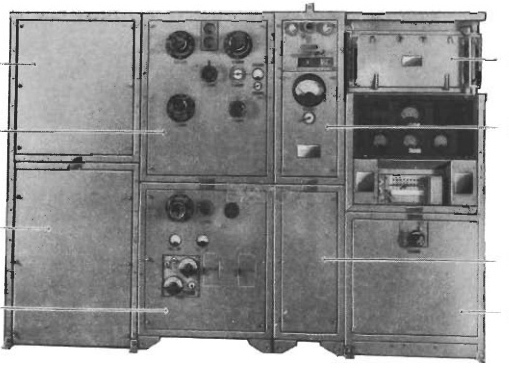 A TBL-4 is identical to a TBL-12 but was made under a different contract number or even a different contractor. Note that Uganda has an additional compartment , namely Radio Telephone Office No. 2. 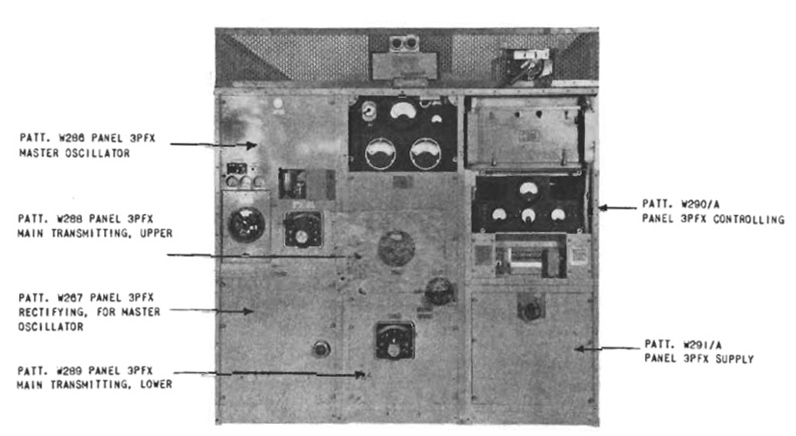 Each ship used a different designator for the transmitting rooms. Both vessels spent most of their service lives as training ships. 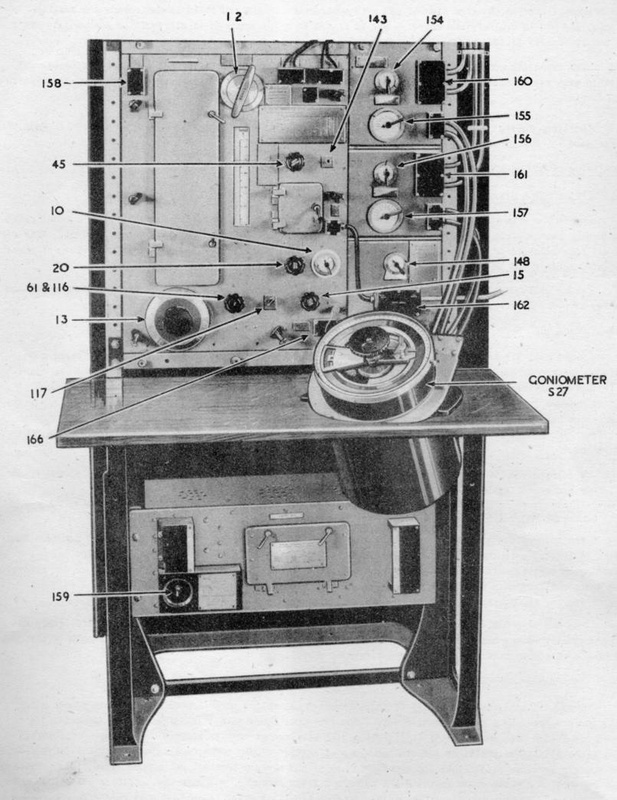 after the American built, RCA type ET4336. 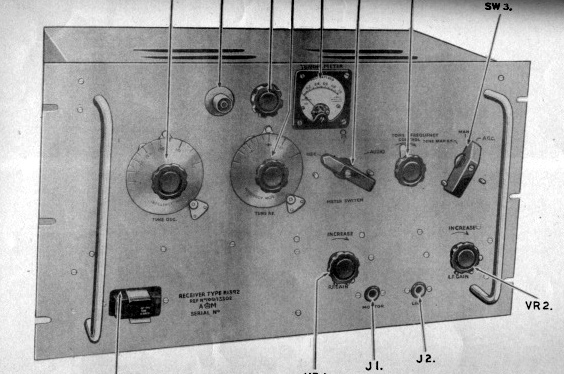 TC - An 18 inch aerial trunk used with high power transmitters. BBr - Battery outfit. 24 volts @220 amp/hours; 4 volts @ 110 amp/hours. GJ - wavemeter outfit; LF/MF/HF. 2 x TA - An 8 inch unipole trunk for use with medium power transmitters. 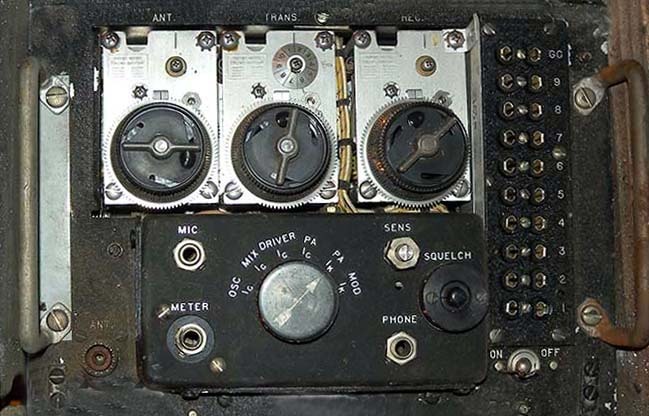 EJ - Aerial Exchange Board. Maximum antennas unknown. GR - Wavemeter outfit. 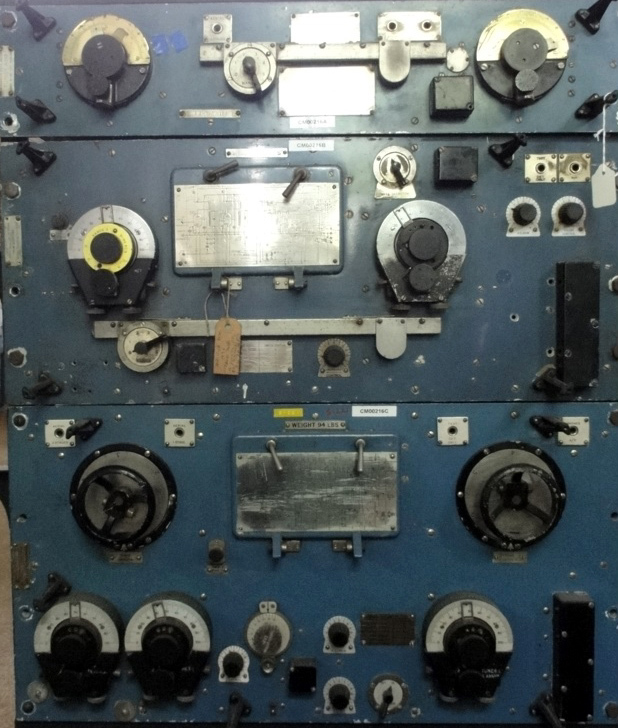 GR is Royal Navy version of the RAF Crystal Monitor 2. 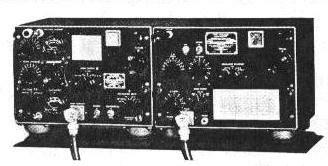 CDU - VHF receiver. 100 to 150 MHz; Photo here. 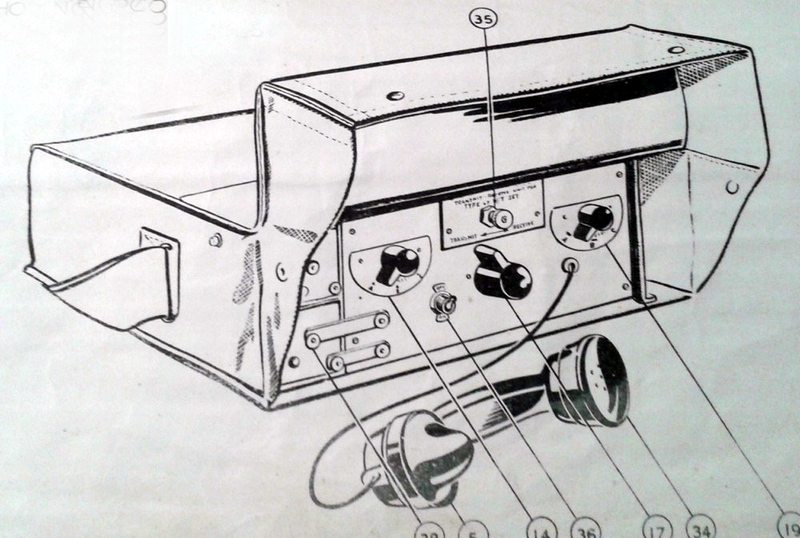 TF - A 4 inch aerial trunk for use with type TV5, TCS or HT 11 transmitters. 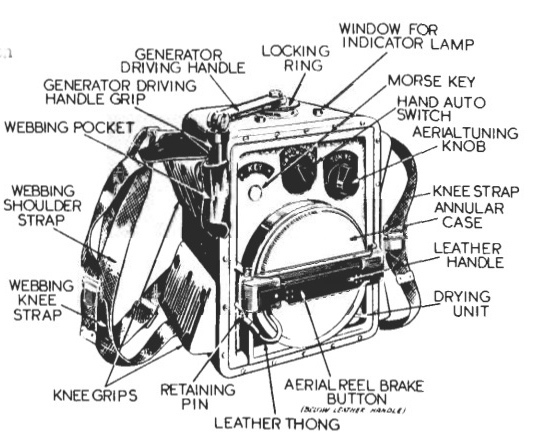 GN - Wavemeter outfit , crystal type. Frequency range 100 KHz to 25 MHz. Radio/Telephone Office 87M - Radio set. Frequency range: 100 to 145 MHz . Mode: A3. Power output: 50 W.
KFD - R/T control system fitted in ships for fighter direction. KFD allowed 6 channels with 3 controlling positions. D/F Office FM12 - MF/DF outfit. 42 to 1060 KHz. Photo here. Aerial Outfits AOA - Wire aerial. No specific type. GJ - Wavemeter outfit. Photo here. 1 x TS An 8 inch unipole trunk for use with medium power transmitters. EF - Aerial exchange outfit. FM7- MFDF outfit 42 to 1000 KHz . Photo here. No. 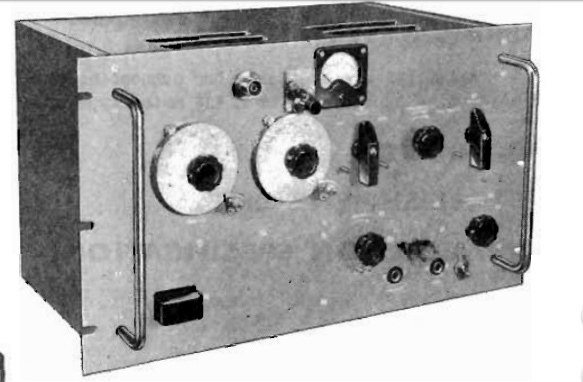 2 89M - 250/350 watt, AM/CW transmitter which operated in the range of 2200 KHz to 20 MHz and patterned after the American-built, RCA type ET-4336. KFD - Fighter Direction Control Outfit. 2 x APU - Aerial for 86M set. Miscellaneous. 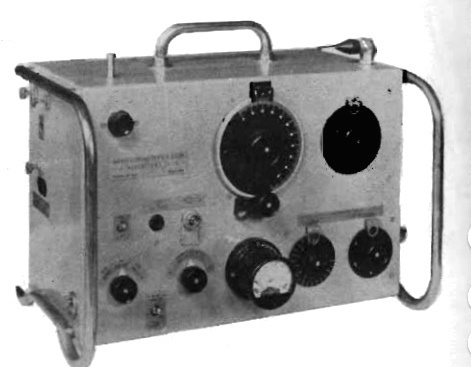 52ERT- Transportable set; 150 to 1500 KHz. 2 x Type 67 - WS67 (AP W3217) is the Royal Navy version of the British Army WS27 set. #1 - This room could be used to track all aircraft, friend and foe alike. 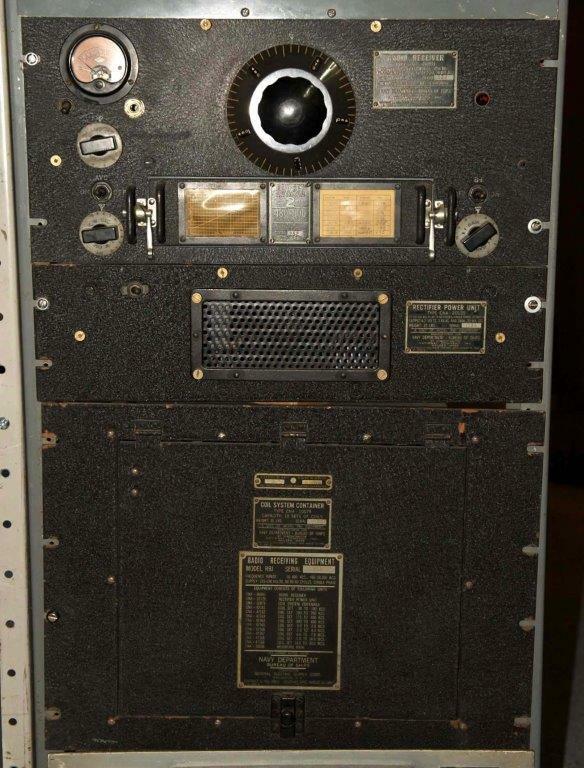 #2 - So what's an SCR-608 doing aboard Uganda since this is a mobile set made for the US Army? 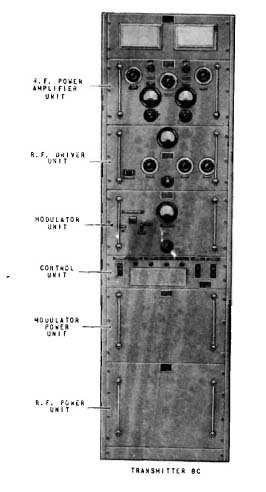 One application for this radio was to to report the fall of shot back to the ship's gunners during a bombardment. As part of Uganda’s WWII operations, she was dispatched to the Pacific in January 1944 and in June of that year, she participated in the bombardment of Truk Island with US Forces. This would be the most plausible use for the SCR-608. 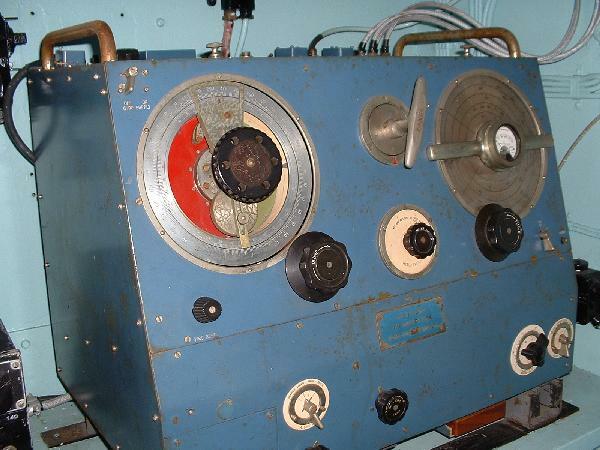 After WWII ended the radio way probably left in the Aircraft Direction Room. 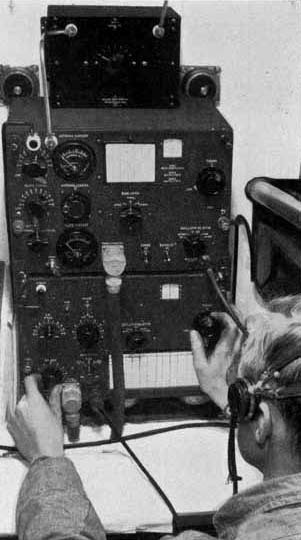 #3 - The ARC-1 would be used to communicate with aircraft.